7 on the Park Condos is a new pre-construction condominium development by iKore that will not only transform the uptown intersection of Keele Street and Lawrence Avenue West, but will provide residents with the luxury of lush, parkside living. Experience 7 on the Park Condos, slated for a 2019 occupancy. In a convenient neighbourhood that provides excellent transit access and a wealth of urban amenities, this will be one of the area’s first luxury condominiums, making it a great opportunity to invest in the Maple Leaf neighbourhood, which is on the verge of transformation. This exciting new development will be set apart by its stylish and innovative architecture, including crisp, linear lines and spacious balconies that offer spectacular views of next-door Amesbury Park. 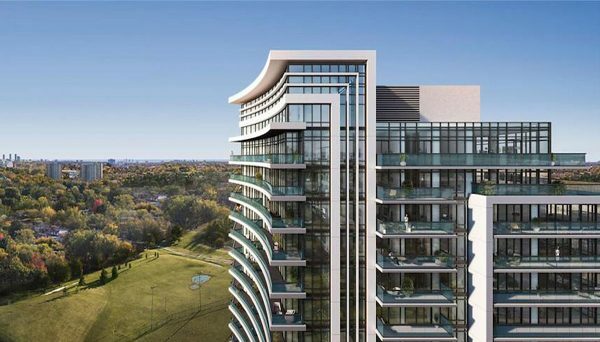 This North York condo will feature a roster of luxury amenities designed to compliment the modern homeowner’s lifestyle. These include a fully-equipped fitness centre and a chic multipurpose entertaining facility, which has private dining areas, casual lounging space and bar and kitchen facilities. This location is a dynamic and convenient one. One of the site’s best features is its proximity to Amesbury Park, which is right next door. Boasting almost 30 acres of greenspace, the park is a popular gathering hub and features sports fields, basketball, tennis and bocce courts, and children’s play facilities. Bordering the park, you’ll find the Amesbury Community Centre and a large sports complex, making 7 on the Park an attractive option for families and recreation lovers. 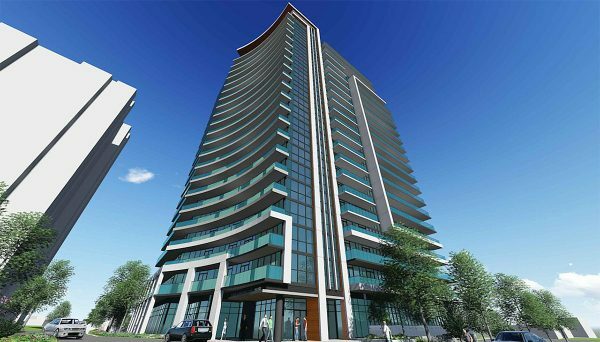 This North York condo is also conveniently situated for all your everyday needs. It’s steps from grocery stores, shops and services, including convenient retailers like Walmart. Need a more upscale shopping experience? You’re a few minutes’ drive from the newly-renovated Yorkdale Mall, which features over 250 shops and services, including high-end brands like Armani, Tiffany & Co., and Michael Kors. With almost all of Toronto’s major highways only minutes away, this is a great option for commuters. Public transit is convenient too, with two major bus lines at your doorstep and the future Eglinton Crosstown LRT just a few minutes away. The brand new Humber River Hospital is just up the street and York University is a short commute by bus or car. iKore Developments was founded by the Iacobelli family over 45 years ago. Throughout their time in the industry, their homes have become known for their striking architecture, attention to detail and for spaces that appeal to a wide range of homeowners, from families to single urban professionals. 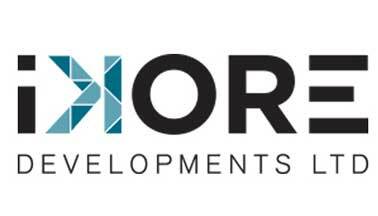 Read more about iKore Developments Ltd.